Alan Miller remembers the growing anger in the crowd at The Hardrock in Stretford as they were awaiting Chuck Berry to take to the stage on the evening of Thursday 18th January 1973. Alan says that “we were oblivious to the chaos that was unfolding behind the scenes. Chuck Berry was due on stage at 9.30 and he ended up coming on at 11. He was going to have to come up with something special after that and he didn’t”. Former Red Issue columnist Mister Spleen remembers that “Chuck Berry got bottled offstage after turning up late and only doing half an hour”. What caused the delay was Berry’s now notorious practice of demanding payment in cash, prior to the show. The main problem was that the management of the Hardrock had no idea of this until the night of the show. Chuck Berry was going nowhere near the stage until the money turned up and they didn’t have the required cash to hand. Old Trafford swag stall holder Malcolm Hancock says that “they had to plead with the manager of the local Midland Bank to open up and give them the cash. It’s just as well they did, there would’ve been a full scale riot otherwise”. Charlie Darlington, an Urmston red who grew up idolising Johnny Berry and a lighting engineer at the Hardrock said that “Chuck Berry is one of the most arrogant and ignorant people I’ve ever heard of”. 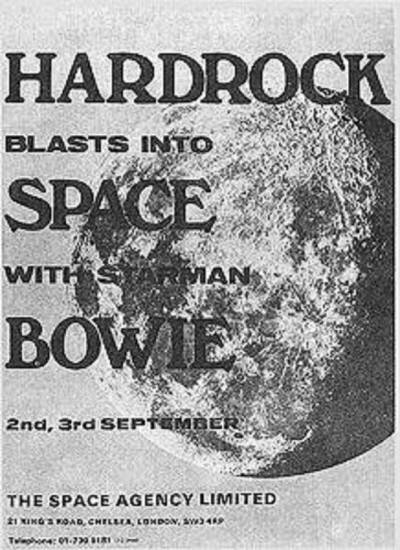 The Hardrock opened its doors as a venue in the summer of 1972 and November the 8th saw the 40th anniversary of its closure, before the building was converted into a DIY shop (which itself is due to close imminently). Over its three years, giants of the rock music world, such as Led Zepellin, Paul McCartney, David Bowie and many others played the venue.